There is little benefit to students if words are spelled correctly within the spelling cycle (when they are most familiar) but that long-term knowledge is not established. 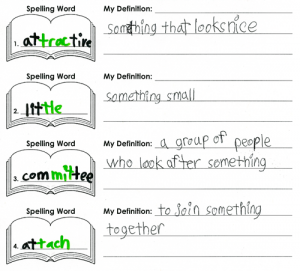 In addition, within the spelling cycle students should develop such an affinity with the list words that they transfer across to class written work. There is minimal benefit to students if they spell words correct within their spelling cycle, but fail to establish a clear and concise understanding of what the words mean and as a consequence never apply them in their writing. 1. At a conclusion of a weekly or fortnightly spelling cycle, test the spelling words of focus in addition to six mixed words from the previous month’s spelling concepts. This gives parents and students a clear message that it is not only the words of the week that the students need to spell correctly, but that students also need to be able to spell their spelling words correctly into the future also. 2. Typically Year 1 and 2 words are common nouns and verbs. From Year 3, the spelling words are more complex and embody the potential to address vocabulary. Are the students within the cycle engaged in activities that also focus upon word knowledge and the translation into writing? Unless vocabulary and application to writing tasks are presented as part of the spelling routine many students will struggle to do so of their own accord. 3. Typically each mainstream class will have students advanced, students that are age appropriate and students that present with delayed spelling skills. The exact proportion of students in each of these groups will differ from class to class and from school to school. The first step to translating spelling concepts into writing is for teachers to allocate appropriate spelling lists. Some students will require spelling lists for two spelling cycles and others for only one spelling cycle. Some students will require fewer words in their spelling lists and others are capable of focusing on more words. Some students will require spelling concepts to be presented and revised in the future whereas other students cope with a new list after new list with little revision. The demonstration of spelling skills over the longer-term and within written work is dependent upon teachers presenting the appropriate spelling concepts for an appropriate length of time. The PLD program Phonic and Sight Word Sequence provides list words for students operating at Foundation to Year 6 levels. 4. Some students require additional phonic-based spelling experiences and cannot rely on whole class spelling activities alone to develop their reading, spelling and writing skills. The Phonic Dictation Series has been designed purely for this reason. Single word spelling requires students to use three primary prerequisite skills. Self generated writing requires students to use ten primary prerequisite skills. For this reason there is a huge difference between a spelling test and applying spelling words into self generated writing. Dictation requires students to apply seven primary prerequisite skills. The PHONIC DICTATION series embeds the phonic concepts that students are learning within their spelling cycle. Hence students are given the opportunity to rehearse the application of their spelling concepts into extended writing (within this controlled and supported medium.) Thereby PHONIC DICTATION holds the potential to bridge the transition, of students applying their phonic-based spelling concepts into their writing. PLD is proud to announce that the Year 5 resource has just been released. This resource is for students in year 5 who have age appropriate skills, but also for those Year 6 and 7 students who are operating at a Year 5 level. Don’t forget also to review the new You Tube video clips available through the links above.  The clips provide a short explanation on how to schedule the presentation of the Phonic Dictation series. If you require additional information on this topic, it is suggested that you register for our Literacy and Learning in Year 1 & 2 seminar.